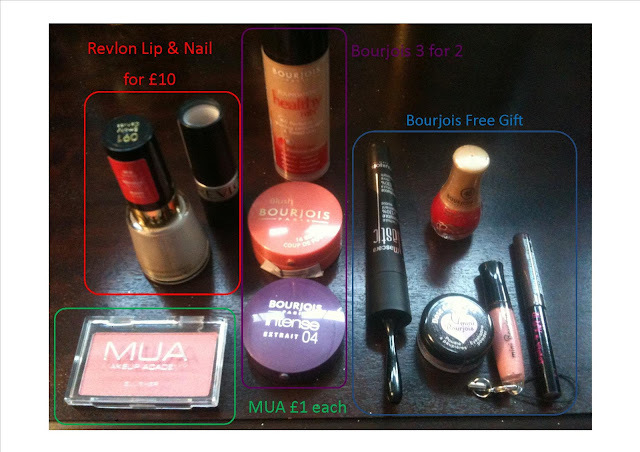 What a find, Bourjois was doing a 3 for 2 and then you got a free 5 piece kit and Revlon were doing a 2 Lips or Nails items for £10. Result! I had been watching one of Lisa Eldridge marvellous videos about High Street Beauty and so decided to see which items I could pick up in my local Superdrug.